We’ve had one storm after another here in the Sierra Nevada. Two more storms came through this past weekend, back to back. 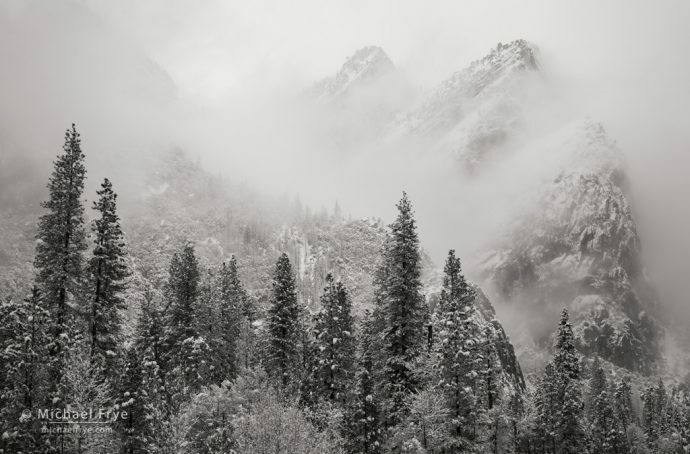 They were cold systems, so it snowed in Yosemite Valley, with about five inches on Friday night, and another eight or nine inches on Saturday night and Sunday morning – all on top of at least 18 inches left over from the previous series of storms. The valley was quite a snowy place. I kept checking the weather last weekend to see whether there might be a break between the first and second storms. All signs pointed to a partial break late on Saturday morning, but there seemed to be a slight chance that the storm might clear closer to sunrise on Saturday, so I drove up early – only to wait as a shower rolled in and dumped heavy snow for an hour. The snowfall diminished, and I saw weak sunlight a few times. I photographed snowy trees, and a misty scene of Three Brothers. Finally, late in the morning – just as the forecasts predicted – the sun broke through with more conviction. I decided to check out Tunnel View. Since I’ve photographed Yosemite Valley so often I’m always asking myself what’s unique about this particular moment. What haven’t I seen before? Clouds and mist always form and move in different ways, creating unique moments, which is one of the reasons I can go back to Yosemite Valley over and over and find something new. But what really struck me that Saturday morning was the snow-laden trees in the foreground. So I looked for vantage points that would make those snowy trees a prominent part of the composition. 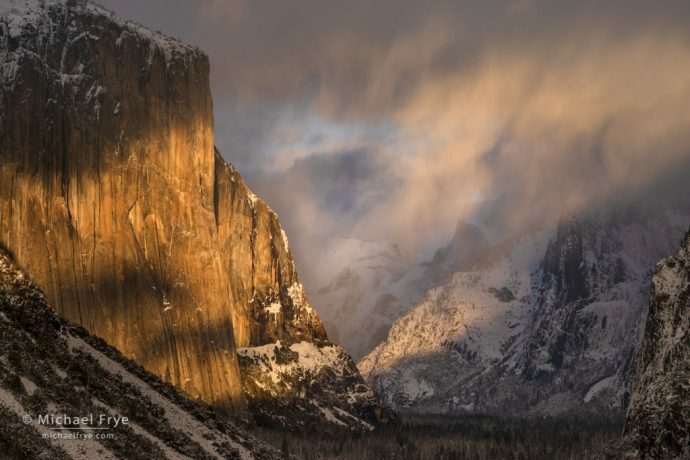 The photograph below is probably my favorite from that day, with lots of snowy trees, mist, and sunshine breaking through to light El Capitan and Cathedral Rocks. The second storm looked like it would clear between noon and sunset on Sunday. But some of the forecasts were calling for over a foot of new snow overnight, which meant possible road closures. And sure enough, at about 5:30 a.m. Sunday morning I got a text alert on my phone saying that highways 41 and 120 were closed. But Highway 140 was still open, and that’s the shortest route from our house in Mariposa to the valley. I just hoped it would stay open. By around 10:00 a.m. it became obvious that skies would clear soon, so Claudia and I packed our gear and started driving to the valley. The road was still open, thankfully. The storm actually cleared quite abruptly, so by the time we got there it was too late for real clearing-storm stuff, but there were beautiful snowy trees to photograph. Highways 120 and 41 were still closed, which meant we couldn’t drive to Tunnel View for sunset. Of course there were many other places we could go, but we thought it would be fun to walk up the closed road to Tunnel View. We might even have it to ourselves, which would be a novel experience. Google Maps said it was 1.6 miles from the Bridalveil Fall parking area to Tunnel View, which didn’t seem too far. As we started walking we found a lot of commotion along the road, as a fleet of snowplows prepared to head up the hill. I asked one of the drivers if it was okay to walk up to Tunnel View, and he said sure, but that it was a long way. A bit further up we found a ranger vehicle with two rangers guarding the gate. But they were okay with us walking up, as long as we stayed out of the way of the snowplows. Sure thing. 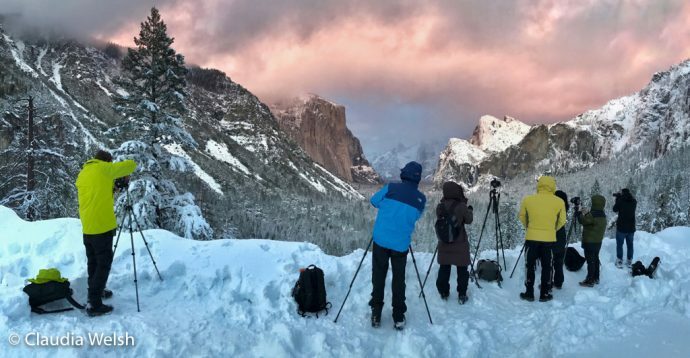 We met one photographer coming down the road, but when we got to Tunnel View we had it to ourselves – except for a noisy snowplow clearing the parking lot across the street. So we didn’t get peace and quiet, but it was nice to be able to set up my tripod anywhere I wanted. Naturally, however, we weren’t the only people with this idea, and we soon began to see other photographers walking up the road. It ended up being a nice, convivial group of about ten people photographing the sunset at Tunnel View. And the snowplow stopped, which made it quiet. If the road had been open I’m sure there would have been at least 50 photographers there. When Claudia and I first got to Tunnel View the light and weather weren’t very exciting. But about half an hour later a snow shower moved through the valley, with shafts of warm sunlight striking the clouds and falling snow. That unusual scene was clearly, to my mind, the most interesting thing happening at that moment, so I decided to leave out the foreground, use a short telephoto lens, and fill the frame with El Cap, the falling snow, and Half Dome (the photograph at the top of this post). It was fun being up there with the road closed. I was actually afraid that the park might open the road while we were up there, making our quiet spot suddenly crowded, and forcing us to dodge cars on our way down. But they didn’t open the road, and we all walked quietly back down to the Bridalveil Fall parking lot in the gathering dusk. Meanwhile, another big storm began last night. This is one of those “atmospheric river” events, drawing lots of warm, subtropical moisture into California from the Pacific Ocean. Snow levels are expected to rise to 8,000 feet tonight and tomorrow. That warm rain will melt some of the recent snow, possibly causing flooding, though at this point only minor flooding is expected. Yosemite Valley (at 4,000 feet) could get a little snow as temperatures dip toward the tail end of this system. Regardless, it’s been a very wet February. 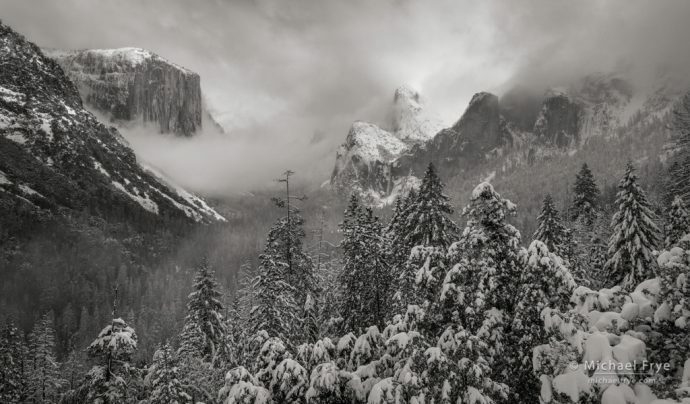 Yosemite Valley has received over 11 1/2 inches of rain (and snow equivalent) since February 1st, with several more inches forecast for this current storm. The average precipitation for the whole month is only 6.7 inches. But it’s all good. We’d rather have too much rain than too little – as long as we can avoid major flooding. And the huge Sierra snowpack might keep the waterfalls flowing through July. Photographers at Tunnel View, Sunday evening. Photo by Claudia Welsh. Those are wonderful Michael. I love the valley in snow. I so wanted to get there, but the forecast made it too iffy to travel that far. Maybe later this month, after the Horsetail Fall crowd leaves, I can get another chance. 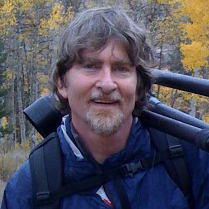 Thanks John, and I hope you get a chance to photograph the valley in snow. Unfortunately, pretty snow and tough driving conditions go hand in hand. Fabulous images as usual, Michael. I was contemplating walking up the road to Tunnel View but there were so many other places to shoot this past weekend, I barely ate because I was so busy photographing! Thanks Harri, and I’m glad you had a good time photographing the valley! What a treat getting to walk up to Tunnel View without any cars.I really enjoyed the one you said was your favorite from the day. We may get a shot at being up there early March. Hoping it works out. I hope it works out too Doug – good luck. What a wonderful set of photos. I actually even liked the one with the other photographers in it, tho strange people are not generally my thing. I just thought the touch of color was an addition to the scenery as it didn’t overwhelm. And from experience it was always interesting to talk to people who came to the park for a unique experience whether it was the Amaish from far away or the hang gliders in a site across from us n LP. Each added to the experience of the Yosemite we all love. Thanks Dawn, and I’m glad you like Claudia’s photo too. Thanks, Michael! When I opened this post the image at the top just took my breath away—so lovely. I enjoyed the other images, also, and your commentary about the conditions. I read the online SF Chronicle every day, so have been reading about the storms coming through NorCal. I’ve also been receiving storm updates from friends and family in Truckee and Reno. Thanks, again. “WOW” – Michael = Awesome Images, So Beautiful. Wonderful images and backstory, as usual, as expected! Sorry I couldn’t be there as well. Thanks Chuck! Hope you get a chance to see the snow. I am from the east coast and am thinking of trying to catch the firefalls this year. What are the chances for Thursday and Friday (maybe even Saturday) of this week (20th-23rd) If not good I will wait another year. For clouds, Thursday looks iffy, but there’s a potential clearing snowstorm, which would be way better than Horsetail. Friday and Saturday the forecasts at this point call for clear skies, but forecasts change. Temperatures are expected to be cold all week, which will limit snowmelt and therefore the flow in Horsetail. But there should be some water in it, which wasn’t the case last year. Walking up the road to the Tunnel View was smart. Me and my friend stopped at the sign “road closed” and thought it’s closed for foot traffic as well. 🙁 Looks like we were wrong. Nice photos! Well we had a ranger to ask. But if there hadn’t been a ranger we would have assumed that walking was okay, and ask forgiveness later if we found out otherwise. Beautiful shots, Michael. I thought about hoofing it up to the tunnel on that same day, but I had a long drive that night back to Orange County, and now I’m kicking myself. I did stop off of highway 120 and shot back toward Bridal Viel, but I left before the color got interesting. Bah. I did manage to get some other shots over those three storms and paid for each of them by sitting in epic traffic jams on two of those weekends as they kept shutting down the grapevine on my way home. You’re so lucky to live just outside of the park! I’ve been thoroughly enjoying the snow in the park this year! I honestly can’t remember this amount of snow over the last decade. The falls should be amazing this Spring! 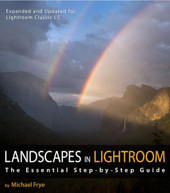 Thanks very much William, though I’m sorry to hear that you missed the best light that day. Claudia and I both can’t remember wading through as much snow on the valley floor before, and we lived in the valley for over 20 years. But then we missed “Snowmageddon” in 2011.